Toyota is getting into the groove as the official vehicle sponsor of the 22 U.S. installments of Competitor Group’s Rock ‘n’ Roll Marathon Series, while taking on title sponsorship of the headliner concerts that accompany each race. Activating both at the races and the two-day Health and Fitness Expos that precede them, Toyota aims to connect with consumers from the first drop of sweat to the last note sung at each event. The partnership runs through March 2016. Occupying a booth at each wellness expo, Toyota creates a variety of touchpoints geared towards getting consumers inside its vehicles. Those who participate in a photo engagement conducted inside a Toyota Sienna receive a printed snapshot, as well as an email of the photos, which they are encouraged to share on social media. Attendees may also enter the Let’s Go Places Sweepstakes for a chance to win a trip with three friends to any of the 2016 Rock ‘n’ Roll Marathon Series events in the U.S., or go for a test drive in a Toyota vehicle, after which they receive a $10 coupon for race merchandise. 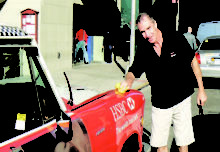 Expo attendees who already own a Toyota are rewarded for their loyalty. By presenting the key to their vehicle, owners are invited to spin an oversized disco ball mounted on top of a RAV4 to win a variety of prizes, which are revealed on the car’s dashboard. Race day activities offer another assortment of engagements. 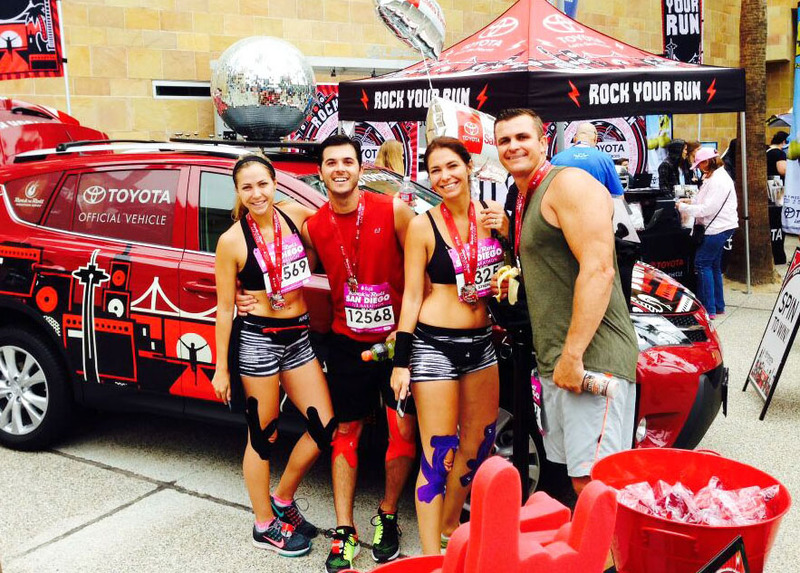 For runners in need of a little motivation during the race, the Toyota Inspiration Station is there for encouragement. A display of humorous yet inspirational quotes are showcased, while brand ambassadors cheer athletes on with cowbells, thunder sticks and foam fingers. 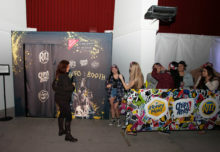 A “red carpet” step and repeat photo opportunity, complete with costumes, inflatable instruments and other props, offers runners the chance to let loose after completing the race. Meanwhile, Special Olympics athletes are on hand at the finish line in the Toyota Medal Zone (an intentional play on words) distributing medals to athletes and promoting the Special Olympics World Games (July 25-Aug. 2), which Toyota supports as official vehicle sponsor. 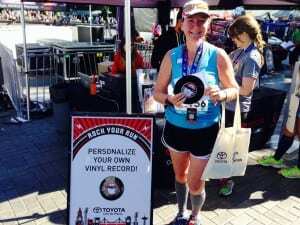 In addition, runners who visit the Toyota booth walk away with an event keepsake in the form of a seven-inch vinyl record bearing the race date, as well as the athlete’s name and finishing time. A giant, 24-foot inflatable record, visible from across the racecourse, rounds out the music-themed engagements. “We’re looking at everyone coming to these events, whether you’re about to purchase a vehicle or you just purchased a vehicle,” says Jim Baudino, engagement marketing manager at Toyota. “[Experiential marketing] is really the one area where you can get direct interaction with the product and the brand, one-on-one. It gives you the opportunity to tie into people’s passions.” Agency: Saatchi & Saatchi, Los Angeles.